Design Nine has been working for the 47 towns that make up the WiredWest region of western Massachusetts since early 2010. Last week, 22 of those towns officially formed a municipal coop, as allowed by state law. This is the first step towards the WiredWest vision of fiber everywhere in western Massachusetts. Design Nine helped the WiredWest steering committee with financial planning, organizational and governance planning, network architecture, and funding strategies. WiredWest: Big Broadband is "...single most important driver of economic development"
WiredWest, the consortium of 47 towns in western Massachusetts that has been developing an ambitious plan to take fiber to every home and business that requests service in the WiredWest region, has released a powerful and superbly produced and edited video that makes a strong case that "little broadband" is not adequate today and will not be adequate in the future, and that the lack of big broadband is already affecting the region's ability to attract jobs and maintain adequate levels of economic growth. Watch the whole thing, and the entire North Carolina legislature should be locked in a room and made to watch it. Disclosure: WiredWest is a client of Design Nine. WiredWest is a municipal broadband project that includes 47 towns working together to build and operate a last-mile, fiber-to-the-premises network for Western Massachusetts communities unserved and underserved by high-speed broadband. The WiredWest project covers 1,445 square miles; more than 27,000 households; 3,000 businesses; and dozens of community institutions. This week WiredWest town delegates chose a preferred governance structure to be submitted for approval by individual towns. This critical project milestone keeps the WiredWest effort on track and positioned to serve residents and businesses once the Massachusetts Broadband Institute middle mile fiber project is ready. Research on potential forms of governance was conducted by counsel and consultants with the assistance of WiredWest’s Steering Committee and delegates. Municipal counsel was provided with support from Berkshire Regional Planning Commission and Franklin County Council of Governments. David Shaw, of Kirton & McConkie assisted as project counsel for WiredWest. 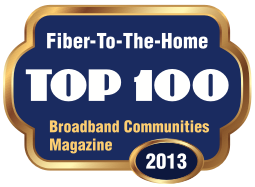 Shaw is one of the country’s most experienced attorneys in community broadband. Design Nine has provided overall guidance and planning services for the project, including feasibility studies, needs assessment, GIS mapping, financial modeling, business planning, and network design. A public co-operative enables WiredWest to move forward legally, practically and financially. Work on other aspects of the project, including engineering, business planning and financing, is proceeding simultaneously over the next several months, to ensure WiredWest is positioned to secure financing and begin construction as soon as enough towns officially join the Co-operative. The City of Boston has decided to develop an open access wireless network for the city. This project might actually succeed where many other communitywide wireless projects have struggled. Boston has decided to do some things differently. The choice of an Open Access Network (OAN) or Open Service Provider Network (OSPN) (two terms that mean the same thing) means that local government officials are not going to try to guess winners and losers in the Internet services marketplace. A fundamental weakness of giving the keys of a communitywide broadband system to a single company means that a handful of local government officials have to be very smart, indeed, to project (typically) eight or ten years into the future and be sure that just one or two private firms will market, sell, and manage services over the community network perfectly. I am not that smart. I would much rather build a digital road system and let any qualified firm sell services, at whatever prices they choose, and let buyers in the marketplace decide who has the best prices and services. That way, local or regional governments don't have to have the responsibility of picking winners and losers. An Open Service Provider Network also lets local and regional governments neatly sidestep the thorny issue of creating a de facto public monopoly for services. By using public money to build a network and then selecting just a handful of service providers, there is created a potentially difficult legal challenge from other service providers who want to offer services in the community but have not been "blessed" by local government. An OSPN network lets any qualified provider come in and sell on an equal footing, and takes the government competition issue off the table. An OSPN system encourages competition, which leads to lower prices for telecom services. When government picks the service providers, competition is diminished, and everyone, even local government, ends up paying more for services. Finally, when managed correctly, an OSPN network encourages innovation by lowering the barriers for entry into a new marketplace. The current bandwidth model we use everywhere now discourages rolling out new and experimental services by creating up front (and often very expensive) fixed bandwidth charges before even a single customer is subscribed to the service. A correctly designed OSPN system should price the cost of transport based on the services offered along with other factors like time of day, Quality of Service needed, and yes, bandwidth. But transport charges in an OSPN network should be tied to revenue, which encourages innovation. If a service provider has few customers, network use fees are low. If the service is popular, network use fees go up in proportion to revenue. This also means that the network operator has income proportional to network use, unlike the bandwidth model which punishes network use. Boston is to be commended for this approach, although I still remain skeptical of communitywide wireless. So far, use of these systems has been light for a variety of technology and economic reasons, but that is the subject of another article. The Commonwealth of Massachusetts is considering a move away from Microsoft Office and toward Open Source products like Open Office. Microsoft's proprietary XML formats that are being used in current and future versions of Office to store Word and Excel documents, among others, are licensed to users. What this means, basically, is that you have the right to open and use your own Word documents only as long as Microsoft allows you to . The state government of Massachusetts is worried, and rightly so, that public documents may become inaccessible either legally (if in the future the state does not continue to renew MS software licenses) or may become incompatible and therefore unreadable because MS has changed document formats.